Founded in 2007 by one of Indiana's leading Brokers, United Country Natalie Elle Real Estate is one of northeast Indiana's most successful real estate offices. 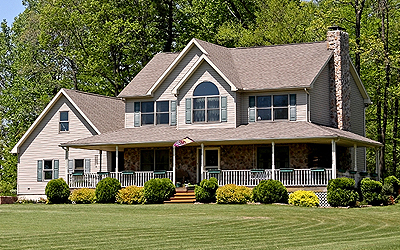 We specialize in northeast Indiana's rural and city properties ranging from single-family home to commercial. We pride ourselves on finding and closing on properties that match our client's preferences and real estate needs. We bring our unique marketing and closing skills to the table with each client and ensure open communication, underscoring our belief that home buying and selling real estate are a partnership. United Country Natalie Elle Real Estate is built on community-oriented principals and skills that have contributed and driven our award-winning portfolio in northeast Indiana. Huntington, the county seat, benefits from easy access to nearby towns with which it shares the Fort Wayne metropolitan area. Access US 24 and US Hwy 224 near I-69, 28 miles southwest of Fort Wayne. Roanoke, 12 miles SW of Ft Wayne is a quaint village offering 4 star elementary, treelined downtown, restored Main Street.